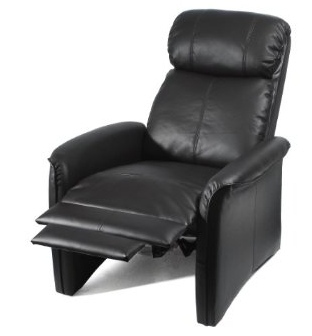 A Leather Club Chair Recliner is a bit different in design than the regular reclining chair. It has a much wider frame and is actually a style of armchair. These chairs are a very popular option to regular chairs in both the office and in the home. They are designed with a lower back than regular recliners as well as more width in the base. The popularity of these elegant pieces of furniture first began in England and quickly spread to other parts of the world. These were once the symbol of success and masculine luxury. 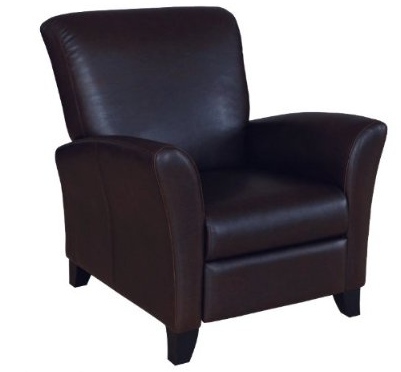 Now the leather club chair recliner is seen in many American living rooms and home offices. Although these chairs were first used exclusively in men’s clubs in the 1850’s, the purpose in mind was to design a chair that was made with men’s stouter frames. They were originally for the wealthy men who tended to be more portly in frame than the average working class men. Anything in the design that tended to be more for the female was strictly avoided. This is why the original styles of club chairs were darker and more masculine. The reclining addition was incorporated much later on. Stout and sturdy, these chairs are made from unprocessed materials. The webbings, which is an underneath material to support the padding, is usually made from hessian cloth. The upholstery material is made from plush materials which range from mongolian horse hair to duck feathers. Only the finest of leathers is used for the outer covering. The arms of the chair have full padded arm rests, a low backrest and the plush upholstery give the chair an overall angular shape. The footrest is padded as well. Polished wood for the lever gives additional elegance. Matching accent pillows are usually added for extra comfort. The leather club chair recliner adds luxury and class to any room whether in front of a living room fireplace or in the office at work. These chairs do need to complete other furniture. You wouldn’t place a flat, long coffee table in front of one, but a smaller round table on the side would be perfect. Add a nice reading lamp and you have a permanent reading spot. The low maintenence requirements of these chairs as well as their durability have added to their popularity over the years. Just a simple wipe with a dry cloth is all it takes, paying close attention to the crevices. You can also go over the leather once a month with a leather moisturizer to keep the leather gleaming and looking brand new. The frame, which is made of sturdy hardwood, will last for many years to come. These chairs also come in a very wide variety of colors to choose from. And, yes ladies, there are softer more feminine colors now as well. Once the leather club chair recliner was only for the rich men but now, the leather club chair reclinerwill never go out of style and will continue to grace the American home for many generations. This Manhattan Solo Leather Club Chair Recliner has always been an all time classic modeled after the nightclubs of the 1900’s, its great looking design giving you best support and comfort that invites to hours of lounging with its thick padding, straight lines and deep seat. This nicely Cozy recliner is perfect for every one. It reclines fully enough in order for you to take a nap. The big advantage over others that it has lower arms rest, one can swing legs akimbo and really stretch out in all directions. The leather is very soft but durable and the padding is of very high quality. One can recline at any angle by just doing so; no levers to dictate position. It is very dimunitive in a room. It does not look out of scale with other furniture and a pair of them would look just great for every home. It is very easy to assemble with just 4 screws, thick soft cushion offer the best comfort. The Price is very affordable for every one. Delivery is fast too.